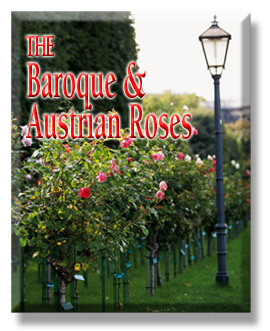 You will see thousands of roses in Vienna's public rose gardens in parks. Visit Schönbrunn Palace, the Habsburg summer residence, and view the Imperial Rose Gardens. Enjoy the gardens, ponds and lake of Laxenburg Castle. Click here to begin your Herzerl Tour's experience in Vienna, the horticultural paradise of Austria. If you love "Downton Abbey"
on PBS this tour is a must for you. 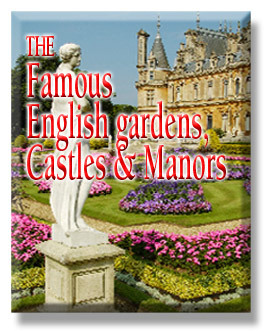 Famous castles, historic manors, English rose gardens, English tea served with lavender crumpets and strawberry jam - what could be better? Late May through early July is a time when the gardens are at their best for colour and fragrance. A true delight for all your senses. Click here to begin your Herzerl Tour's experience in the Cotswolds - English gardens, tea rooms and antique shops. 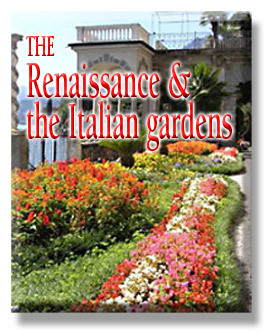 The Italian Renaissance garden, a new style of garden emerging in the late 15th century at villas all thru Italy, was inspired by classical ideals of order and beauty, and intended for the pleasure of viewing the garden and the landscape. Join us on Lago Maggiore, Isola Pescatori (Fisherman Island) and the grandeur of other Italian gardens. Click here to begin your Herzerl Tour's experience in the enchanted beauty of Italy's horticultural masterpieces.